Gosearch.me is an annoying pop-up that appears on your screen every time you go online. This malicious domain may be set as your home page or you may get rerouted to it randomly. The reason why this happens is because you have an ad-supported application installed on your computer. This application is responsible for the fake pop-up and other unreliable advertisements that you see while browsing the Web. It is important that you do no follow any instructions presented to you on the fake site as that will lead to undesirable results. What you should do is get rid of Gosearch.me as soon as you can. The main purpose of the fake site is to trick you into installing the update that it supposedly promotes. The page may claim that you need to update your browser or some other software. In most cases, however, it claims that your Flash Player is outdated and that you need to install a security update in order to continue browsing the Web safely. The bogus site uses the Adobe Flash Player logo to make the notification look even more convincing and someone who has never dealt with similar scams before may actually download the so-called update. Unfortunately, instead of acquiring something useful, they would be downloading potentially unwanted and ad-supported programs. That is why it is imperative that you do not fall f0r this trick. As it has already been mentioned, the reason you see Gosearch.me pop-up is because you already have adware on your computer. The adware has most likely entered your computer together with other free software. Once in the system, the application starts flooding you with various advertisements. Some of the ads are untrustworthy. You should not click on any of these commercials until you terminate Gosearch.me related program completely. 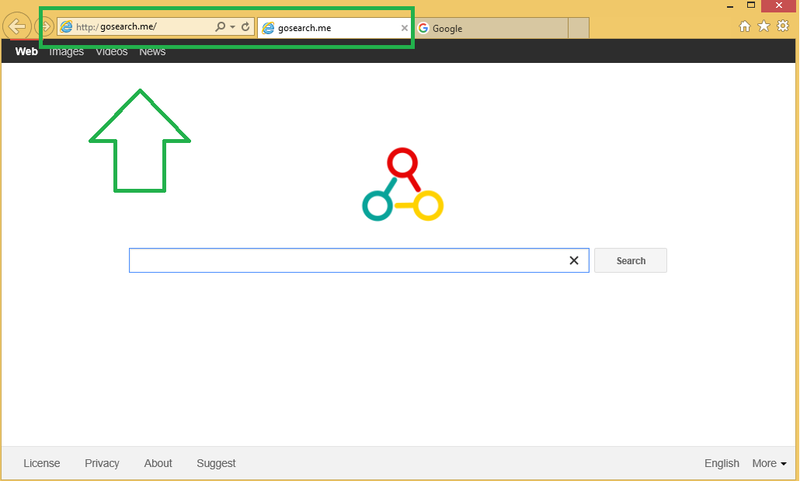 There are two ways you can delete Gosearch.me related application – manually or automatically with Wipersoft. If you have downloaded the fake update, you should definitely go with automatic Gosearch.me removal option. Download the anti-malware tool from our page and use it to scan your system. It will detect all potentially unwanted programs and eliminate Gosearch.me along with them. It will also protect your computer from similar threats in the future. If, however, you think that you only have one unwanted application on your PC, you can try to remove Gosearch.me manually. Instructions below will guide you through this process.